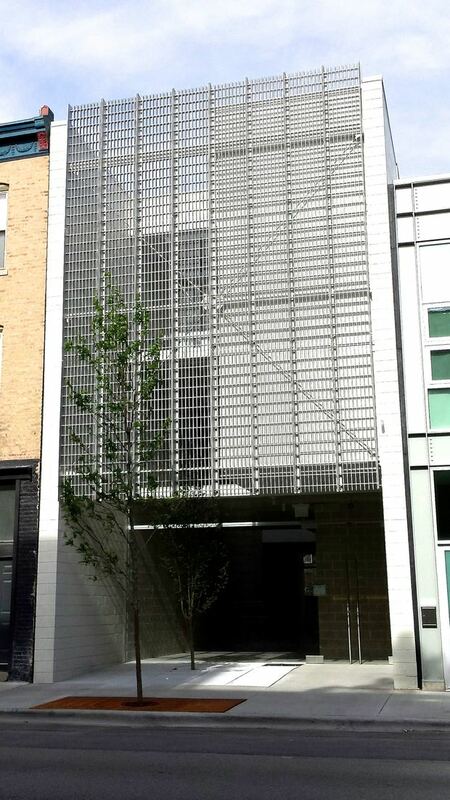 WICKER PARK — An aluminum and glass storefront that has been shrouded in mystery since November has shed a construction fence that obscured views inside, revealing an empty yet alluring ground-level entryway of clear glass. 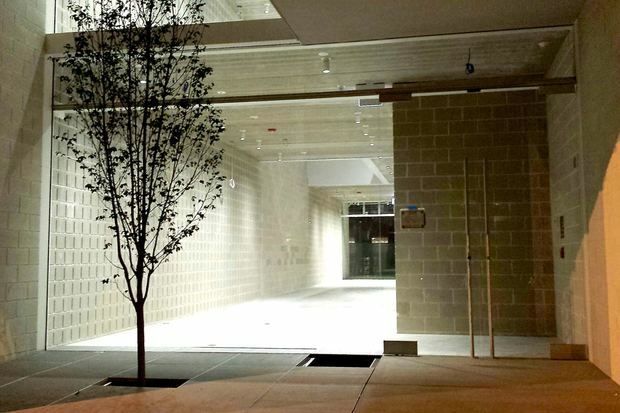 "It looks like you can walk through it," a passerby was overheard saying late Thursday at 1704 N. Damen Ave., along a stretch of high-end boutiques and shops to which both Wicker Park and Bucktown lay claim. 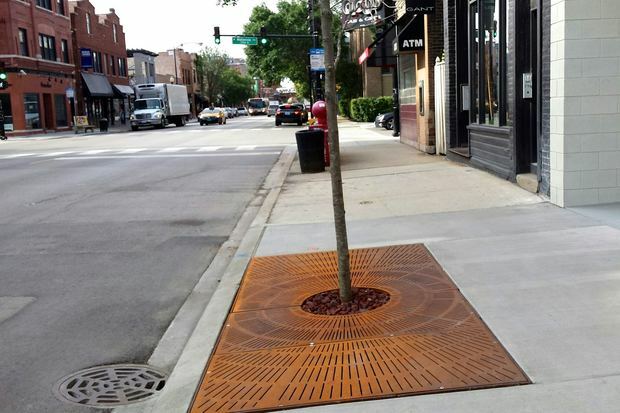 A tree grate in front of the building, just north of Wabansia Ave., surrounds a newly planted Honey Locust. The protective metal appears to be spray painted a rusty orange. 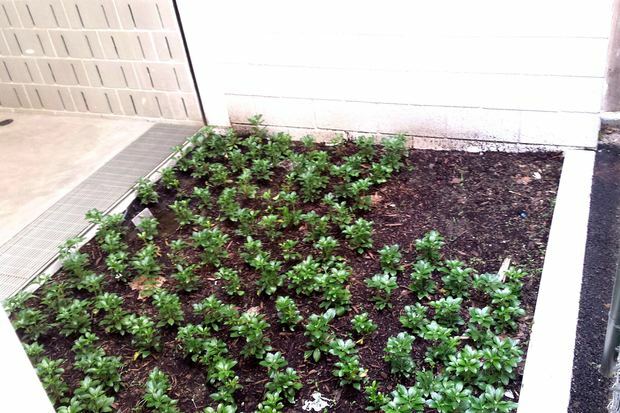 A serviceberry tree, which can grow between 10 and 25 feet tall, was planted in the building's courtyard next to the front door, also in mid-May. Perhaps from the torrential rains that came down on Monday, or from over watering by a human, several leaves on the young tree appeared to be dead on Friday. 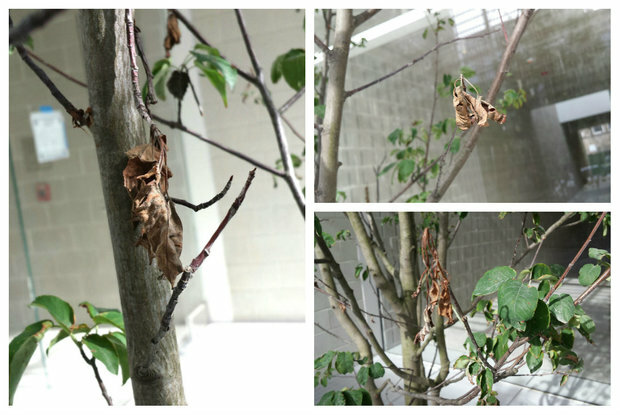 Dead leaves on a newly planted serviceberry tree. In the back of the store, facing an alley, there is a green garden with several small plants. On Friday, Waguespack said he has not heard anything new about the project and does not know whom the tenant will be either.